Finding the best coding toys for kids can be a challenge. They can be hard to find, expensive and some are definitely better than others. Plus we want coding to be fun! So where does one start in their search for the perfect coding toy? Here is our list of favourite coding toys to get you started! 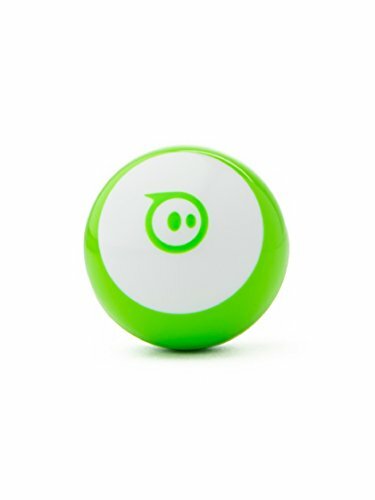 Learn to code with these amazing coding toys! Disclaimer: This post contains affiliate links from which we may earn a small amount from qualifying purchases. Over the past few years we have had the chance to play with some really amazing coding toys and proudly own a few. The boys love pulling out those toys, and the best part is that they really hold their appeal for kids. Why? 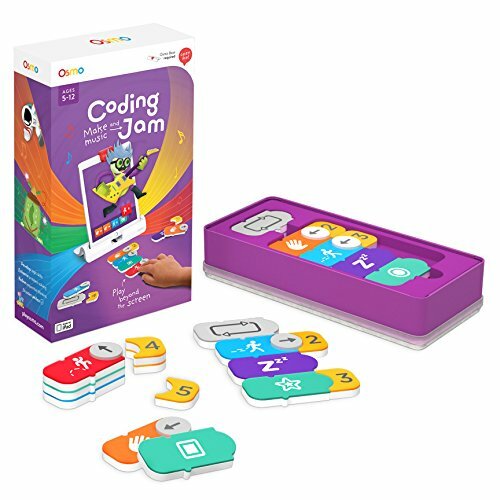 Because these coding toys offer limitless possibilities with so many cool activities. At the end of the day playtime is only limited by imagination with these toys. The best part, is that some of these are completely screen free, while others may use a tablet for the coding, but it goes beyond just sitting at a computer scripting and into making things happen! 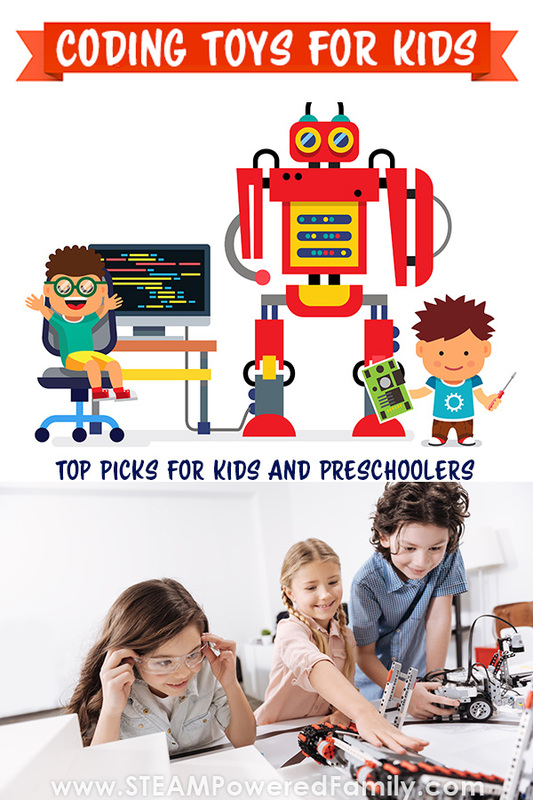 So get your kids curious and add some of these coding toys to your collection. I’ve divided the list into two categories, essentially toys that are suitable for little guys, I’m thinking your 3 to 7 year olds with this group. The second category is for kids 8 years old through teens. Yes, that is a HUGE window, but here is the thing with coding toys, lots of these can be used in many ways (I’ll explain this more below). So although you could buy it for your child when they are 8 years old, they may still be learning new things and taking on new challenges with the toy when they are 14 years old. Although I will say, even some of the coding toys designed for preschoolers have captured the interest of my tweens. So don’t discount any of these toys based on age. My personal experience is that coding toys really cross ages and abilities, helping to foster curiosity and interest in STEM for all kids. If a coding toy interests your kid, that is the most important thing! This also makes most coding toys great for schools, public programs, libraries, homeschooling families and co-ops. Really any group with diverse age ranges and abilities. So my BIG caveat here! We haven’t used all of these Coding Toys (I wish!!!). Where we own the coding toys I mention this, or if we have experience using them. 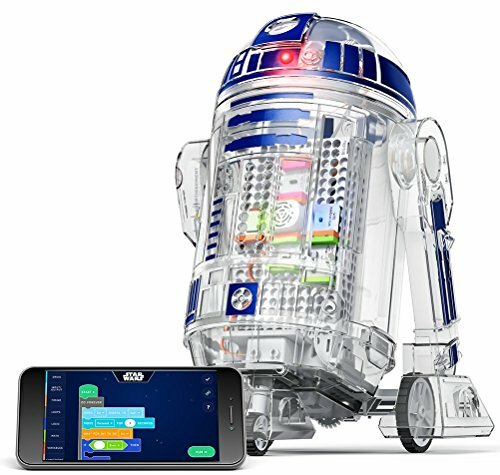 For some of these coding toys I am sharing my research and wish list. For those we haven’t used, I can only share generalities and what I have researched (and what I like from that research!). If I get the chance to use one of them, I will update with our personal experience. Another caveat! There are also new and amazing coding toys coming on the market! This is far from an exhaustive list and I am sure over time there will be new coding toys I will add here. So with that… Ready to start playing and coding? They have the Dash Robots at our local library STEM programs. They are always busy racing around, kids chasing them, tablets in hand. 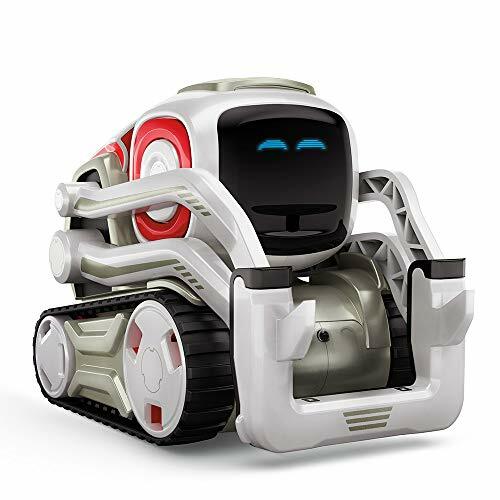 The kids really seem to love the Dash Robots as they are extremely popular and always in use. 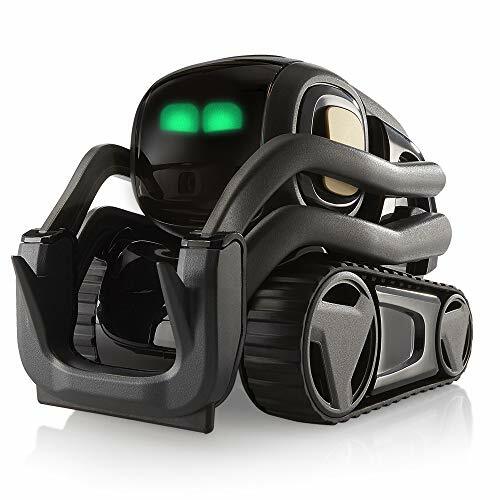 Dash Robot is one that could have really gone in either age category. It is designed for 6 and up, but has a lot of play-ability for all ages. For coding it includes draw coding and block coding options. This is a cute toy for the little guys. Each section has a built in action, so kids can build their Code-A-Pillar differently each time, and set it off to do a series of actions. 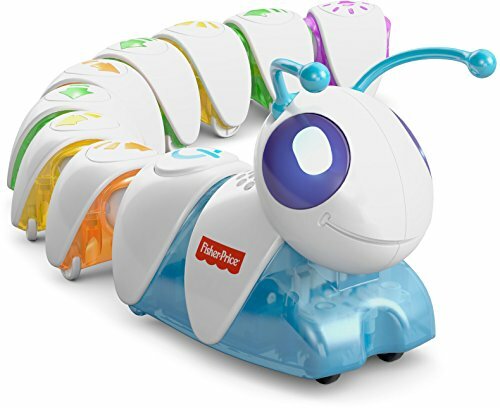 The true challenge with this toy comes from having kids figure out how to get their Code-A-Pillar to reach a specific target or do a certain sequence. 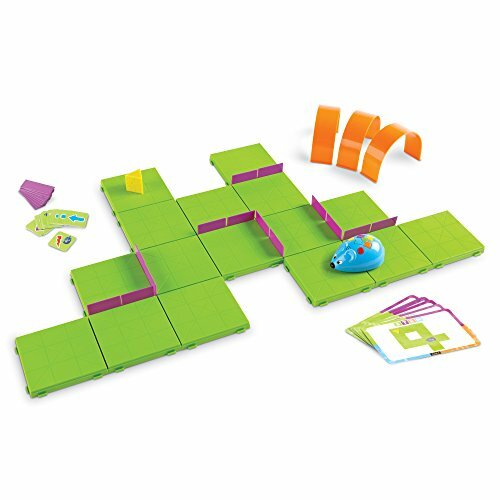 The main focus of this toy, when it comes to coding, is teaching sequencing and problem solving. 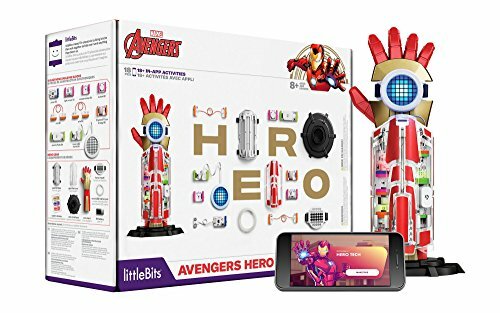 This is another coding toy for the little ones. Colby the mouse wants his cheese, and it is up to the kids to build a maze and then program Colby to get through the maze and get his cheese prize. It goes a step further than Code-A-Pillar by having the kids create mazes and then program the mouse to navigate the maze. This involves a lot of planning, sequencing and problem solving for the kids. It is quite simple in design but gives the kids lots of practice thinking logically through each step. 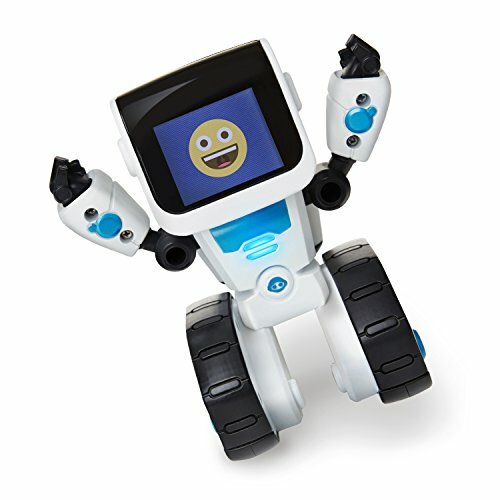 This little guy can be programmed using Emojis. As the parent of a child with language delays it is always cool to find a toy that uses communication and language in a fun way. 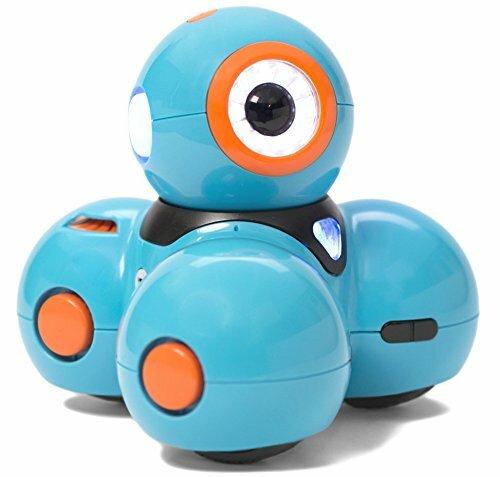 For all kids I can see this coding toy being silly and fun for them to play and learn with. When it comes to coding toys and preschoolers Cubetto is a great choice. 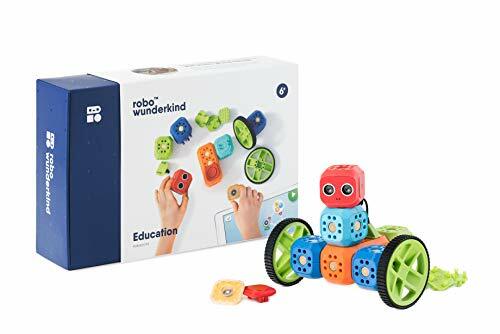 We have one and even though my kids are way past the preschool stage (which this as been designed for), they had a lot of fun playing with it and creating new challenges and activities that really pushed it’s use out of the box. The design of the Cubetto is highly durable and easy to use. To code it you simply place color coded blocks into the board. Once you have your sequence, just hit the go button and Cubetto will execute the sequence the child developed. This makes it also an excellent toy for older kids who may have some special needs or limitations. Read more about our personal experience with Cubetto here. 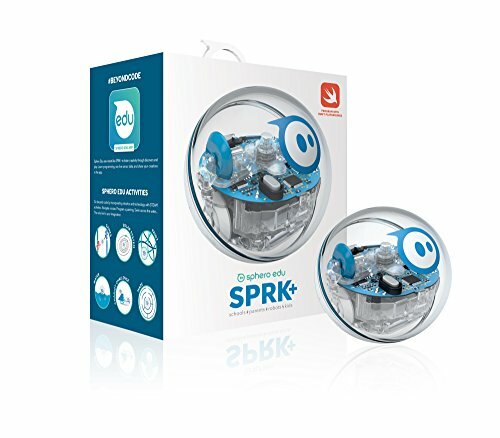 Read about our personal experience with Sphero SPRK+ here. 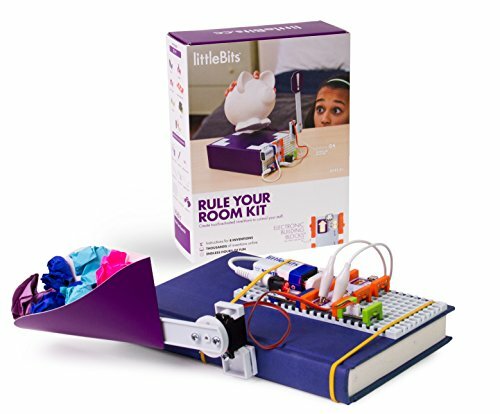 Our personal experience with littleBits is very limited, but not anymore! In the past we attended some library programs where they had some of the kits and my oldest was fascinated. 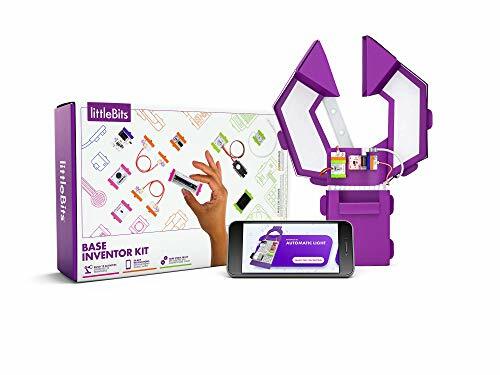 Sadly, due to the volume of kids all trying to create with the kit he didn’t get a chance to really explore, but now we have our very own Base Inventor Kit from littleBits and we are having so much fun exploring, creating, making and building with it! 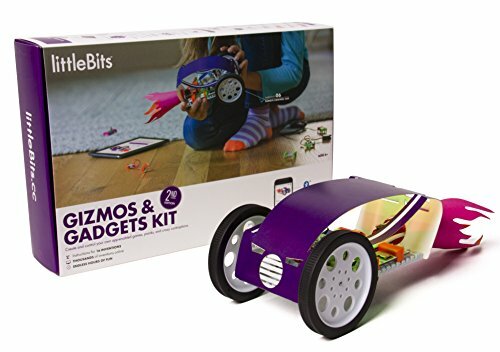 littleBits offers lots of different kits for inventors and creators, some with more coding than others, plus their Droid Inventor Kit is extremely popular with STEAM Powered Family readers based on our survey last Christmas where our readers picked it as the most popular toy they were putting under the tree. We have a complicated relationship with Mindstorms. We do own Mindstorms, and my son LOVES programming it. 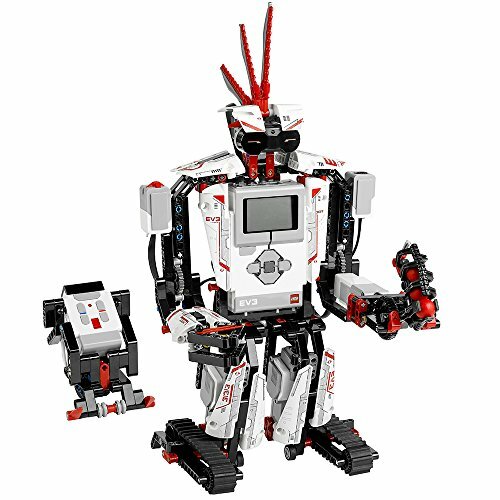 Like was totally obsessed for years with Mindstorms, but we didn’t buy him one, and he was limited to working with the ones in his programming classes. When we went to Legoland he went nuts for the coding challenges and ended up beating everyone there, winning the challenge. He begged us for years to get him his very own Mindstorms. Finally, after years we bought it for him. But now we have it, he has never really played with it. Why? Because it needs to be built, and this is a complicated, time consuming Lego build. My son has little patience for all of that assembly and wants to jump straight into the coding. This is a kid who will take a Lego kit, toss the instructions and spend hours building his own creations. He has little time for all those step by step building instructions. So if your kids love engineering and building, in addition to wanting to learn coding, then Mindstorms is a great solution. 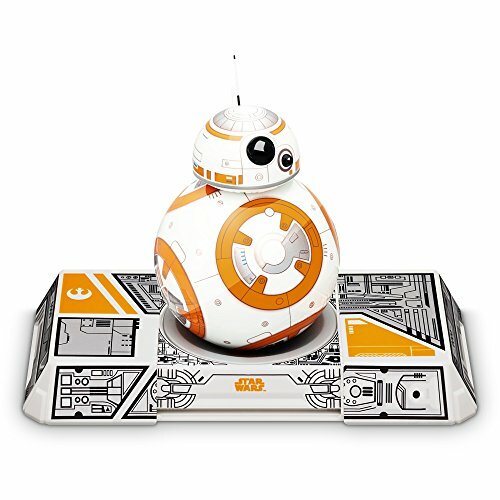 If your child is more like mine, and wants to really focus on programming, I would look to other coding toys. Lego Boost is another Coding Toy from Lego, and from my research it appears to have similar building requirements to Mindstorms. 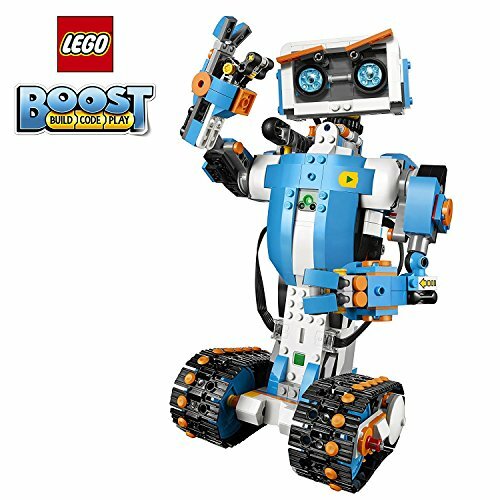 Because of this, we haven’t gone out of our way to try Lego Boost after our experience with Mindstorms, but if your child has the right interests, I’m sure this would be a great option. So maybe you want programmable ‘Lego like’ pieces, but not Lego. Building blocks that give you the ability to code easily and efficiently. 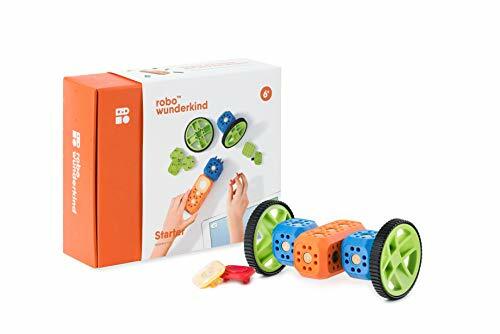 We got you covered with Robo Wunderkind! This is going under our tree this year and I can’t wait to test it out. The system is amazingly intuitive and the best part is that it really fosters some amazing creativity with the ability to use your Robo Wunderkind blocks with Lego and in particular Technic. I’m so excited to get this out and put it through its paces! 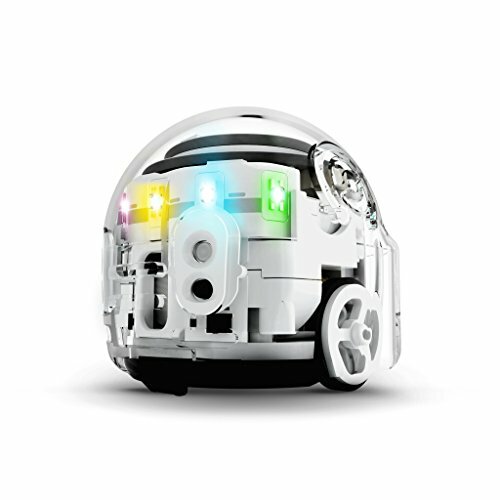 Ozobot is a new coding toy to us. They have two different coding toys available, Evo and Bit. And they are so cute! What I find interesting about the Ozobots is that they use color coding, where you create color coded strips with markers or stickers to program your Evo or Bit screen-free. It’s a really neat approach to programming that I am sure would be a hit with kids. In addition to color coding, they also offer OzoBlockly Programming, which is a drag and drop system that appears to be similar to other block coding options. Evo is a bit more advanced and for slightly older kids, where Bit can be used by even our preschoolers. You know when you have a toy that just makes you happy? That’s this toy. It has been on our wish list for ages. 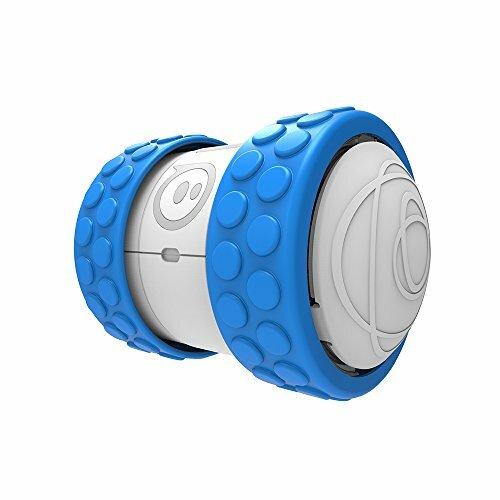 It is sooooo adorable and highly interactive, making it an exceptional coding toy that the kids will want to pull out over and over again. 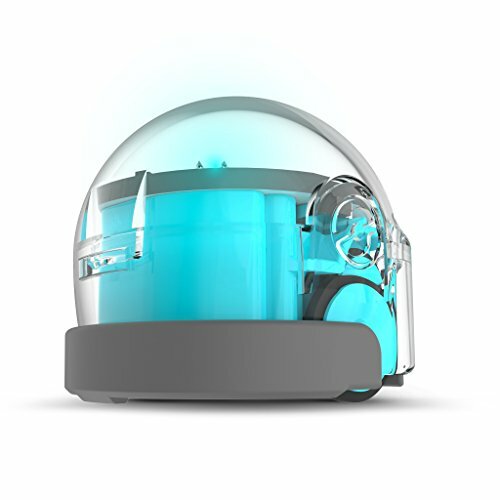 The AI in this toy is very advanced allowing it to learn and adapt as it gets to know you. It shows emotions and includes lots of games. Most importantly, it comes equipped with Code Lab which is supposed to be exceptional for kids learning to code. Sadly we have only seen this guy in action, and haven’t been able to use it ourselves, but we hope to add one to our collection one day. 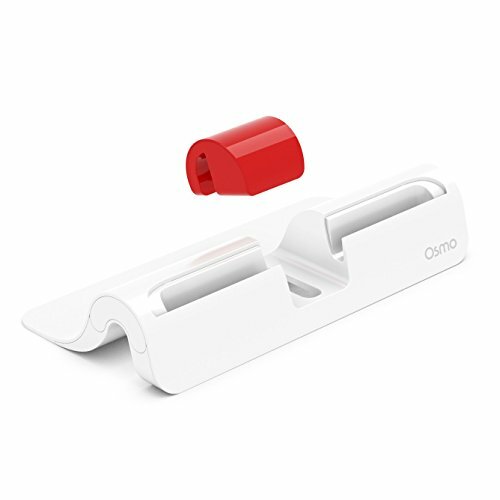 The Osmo system is more of a game than a toy, but it is so utterly brilliant and fun I think it deserves a spot on this list. 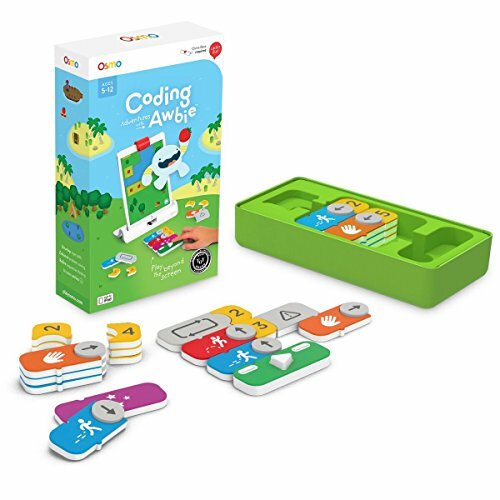 We have Osmo Coding Jam and Coding Awbie and the kids have a blast playing the games (and learning coding). In particular, I have to say Coding Jam is simply amazing for this STEAM loving momma. The idea of using coding and music together to learn, bringing the technical to the artistic, is brilliant. It makes coding fun and accessible to kids that might otherwise find it intimidating. Plus, you should hear the beautiful songs my boys are creating with their coding! 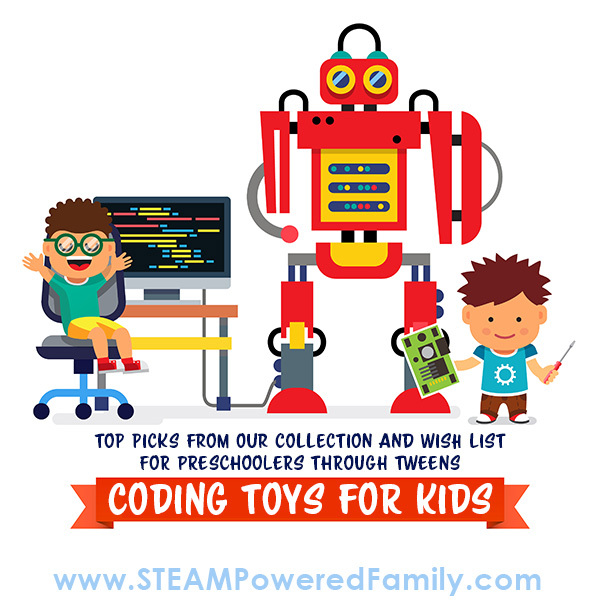 I hope this list of coding toys has helped you find the perfect toy for your young maker! I’ll be sharing more ideas soon on other ways, outside of toys, that kids can learn coding. Join our newsletter to ensure you don’t miss any new articles, plus joining gives you access to a library of free educational resources and special offers on some great products.